2010 seems to be zooming past at a speed which I'm trying to comprehend. With 5 months already gone in a jiffy, I wonder how the time had flown by. Being a person who loves to travel, it didn't take me too long to figure out that I haven't traveled anywhere for leisure in these 5 months. 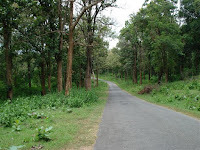 So hubby and I decided to drive down to Wayanad in the last weekend of May. 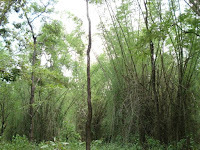 Although we had visited Wayanad in 2007 (Vythiri to be specific), we didn't go around anywhere, thanks to the monsoons. After a quick browsing through the review sites, we finalized our stay with Thirunelli Agraharam cottages. 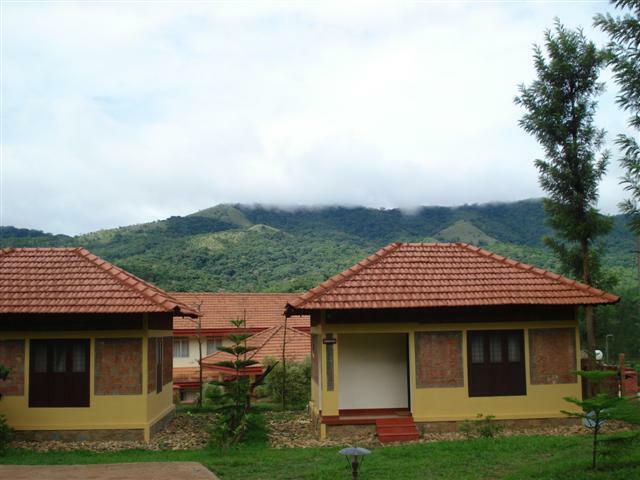 The owner of the cottages, Mr.Sebastian had sent us a detailed route from Bangalore which was very helpful. Getting up early on a Saturday morning could have only been made possible, if we are traveling somewhere. It was a smooth drive on Mysore Road and we stopped for breakfast at Kamat (where else!!). After Srirangapatna, the route got exciting as we had to find our way to Hunsur. The sun was at its scorching peak but the trees on both sides of the road provided some respite. Once we spotted the banner indicating Rajiv Gandhi National Park, we were very excited, hoping we could see some animals inside the sanctuary. There are a few restrictions while driving through the park - 30 km/hr speed limit, no honking, no music and no parking. Though we followed these restrictions which helped us to admire nature's pristine beauty, there were others who seemed to be in a hurry and speeding past the road. We spotted deers, monkeys and a couple of elephants. By the time we crossed the park and entered Kerala border, it was past 1 PM. The border town of Kutta didn't have any good places to eat. So we called up the hotel manager and asked him if lunch would be available in the resort. This was definitely one of the best typical Kerala lunches we've ever had. After a long drive and a sumptuous lunch, we took a nice siesta. 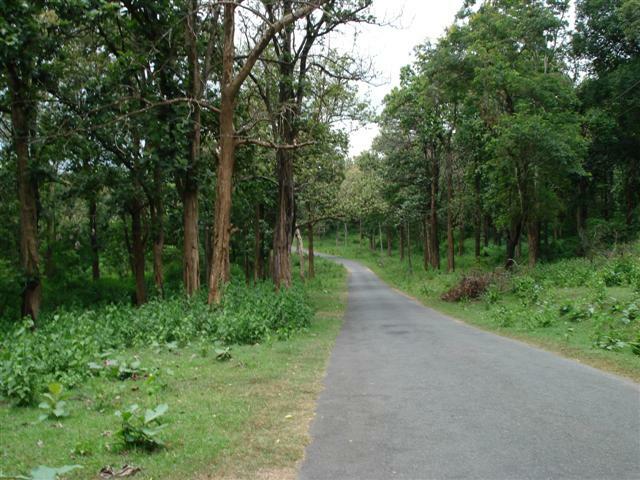 When we planned our trip, we were expecting Wayanad to have a cool and pleasant weather. It was as hot as Bangalore. The manager gave us a few pamphlets indicating the places to visit. Though we would have loved to drive down to all the places, time was definitely a constraint (the weather as well). We went to Thirunelli temple (just a km away from the resort) and Kuruva islands. 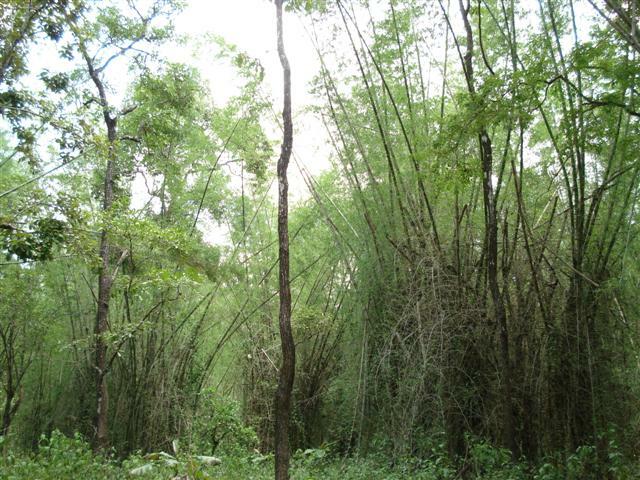 If only the weather wasn't that hot and sultry, we could have enjoyed the walk inside Kuruva islands. We felt very exhausted after the long walk in the sun. We were planning to go to Banasurasagar dam but we missed the route and ended up coming towards Kutta. After having a late lunch in a small local eatery, we headed back to the resort. With crispy onion pakodas and hot tea, we spent the rest of the evening, playing carroms and reading a novel.After breakfast and a long chat with Mr.Sebastian on Monday, we headed back to Bangalore. The monsoon clouds were just looming dark on top of the Brahmagiri mountains when we bid goodbye to Wayanad. sometime back we a group of five been to wayanad on a weekend getaway. could cover many places but sadly not the pookat lake and caves. not sure, when I will be able to make it. which ever the places we visited, we stayed for a long time.. maybe, we should left a bit early from all the places we covered, and then we would have been able to cover caves and lake too. food and accommodation @ tropicalforrest; we are totally satisfied. thanks for the reviews at tripadvisor, following which we booked our accommodation. really, review sites are very useful.